You don’t have to go camping or build a bonfire to enjoy s’mores. Not with the creative s’more recipes that we are sharing! Everything from indoor s’more recipes, to oven-baked s’mores, to s’mores in a cone! 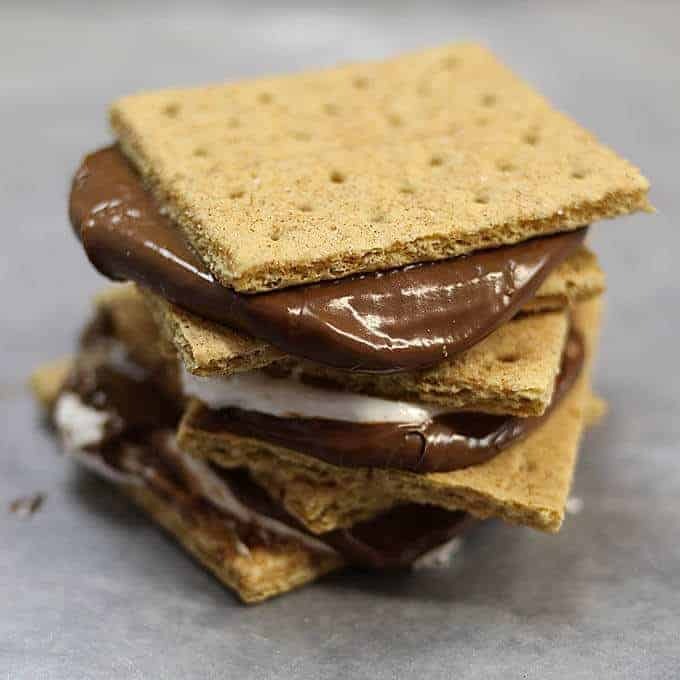 There is something about S’mores that just screams summer! 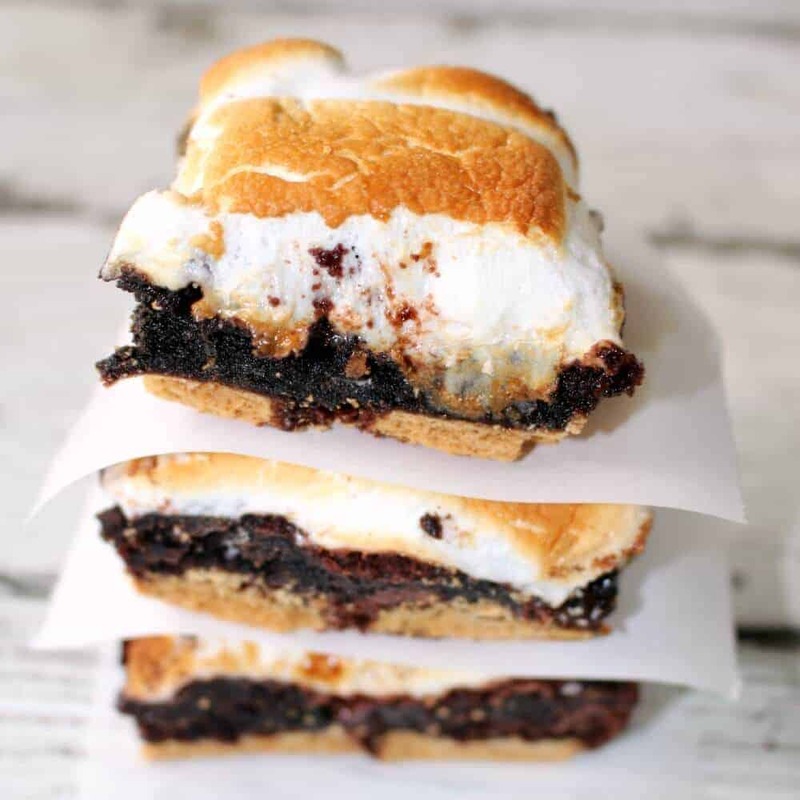 We love s’mores recipes and have found tons of twists on the traditional and classic s’mores! 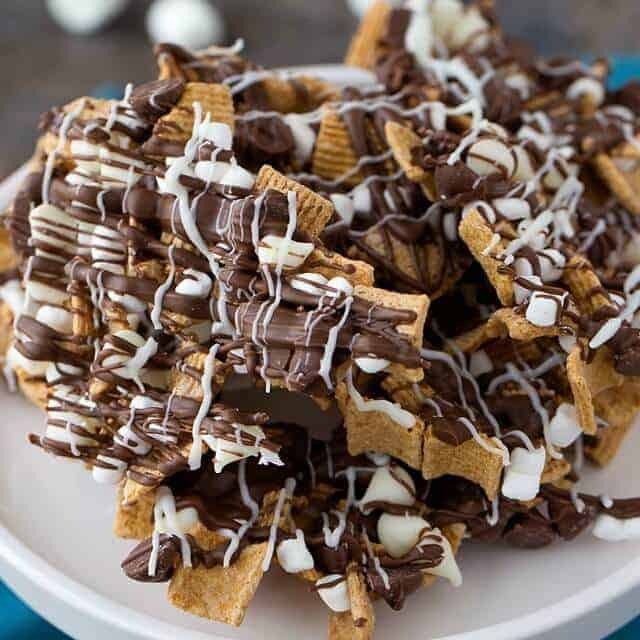 There are so many great things you can do when you combine melted chocolate, golden brown marshmallows, and crunchy graham crackers. 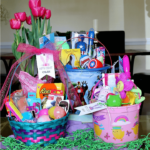 We are going to wow you with all of the ways you can enjoy your favorite summer treat! 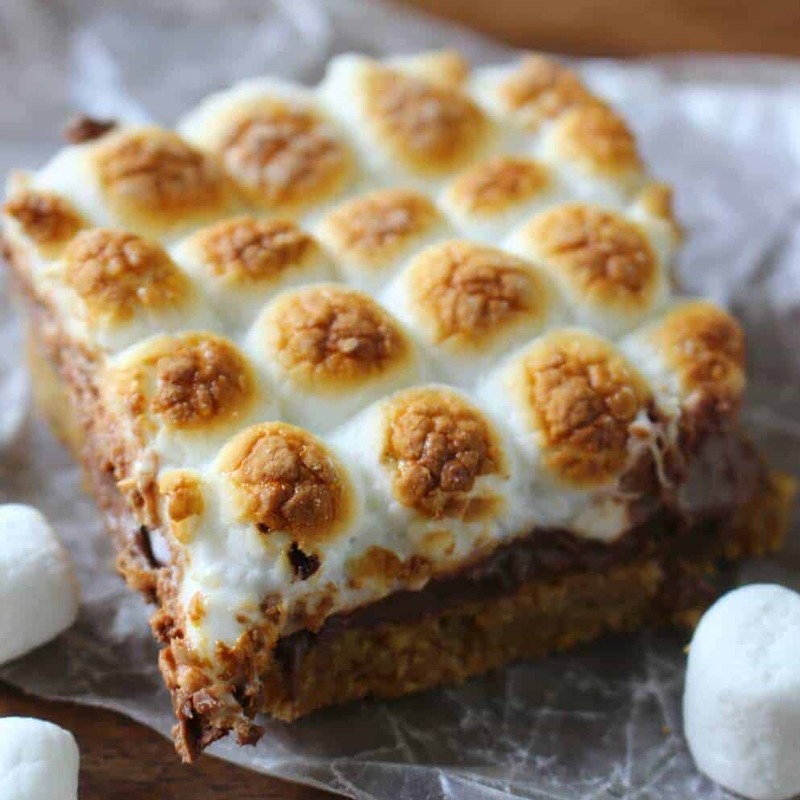 There are no campfires required for these creative s'mores recipes! Now you can enjoy s'mores any time of the year in so many different ways! This super easy version of traditional s'mores can be made with milk chocolate or mini Reese's Peanut Butter Cups. Either way, the delicious graham cracker crust will melt in your mouth. There is no way to stop with just one of these delicious s'mores bites! Layers of graham crackers, marshmallows, and ooey and gooey brownies will take your s'more experience to a whole new level! This is the perfect treat to put out at parties. Golden Graham cereal and mini marshmallows bits drizzeled with chocolate and white chocolate! It is easy to snack on, but hard to stop! 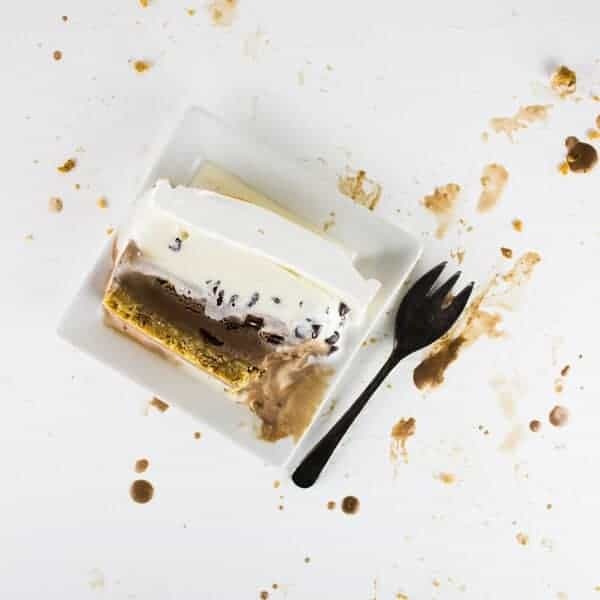 If you ever had the Starbuck S'mores Bar you will know how delicious this treat is! Graham crackers and chocolate layers covered with perfectly golden brown mini marshamallows. 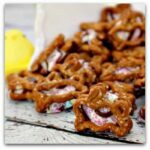 This makes a great s'mores treat any time of the year! 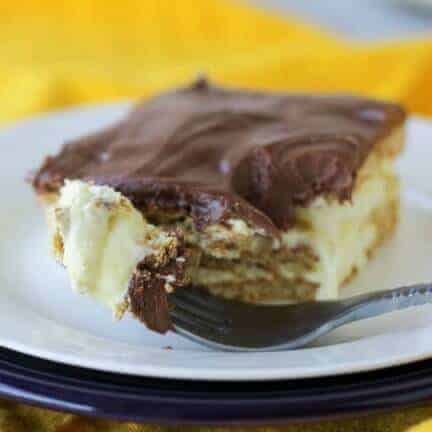 Our no-bake s'more eclair cake is a great and impressive dish to bring to your next pot luck dinner or backyard barbecue! Guests will go crazy over this dessert! S'mores don't have to always be served hot - how about some s'mores ice cream to cool you down on those hot summer nights! S'Mores Bark - No Campfire Needed! 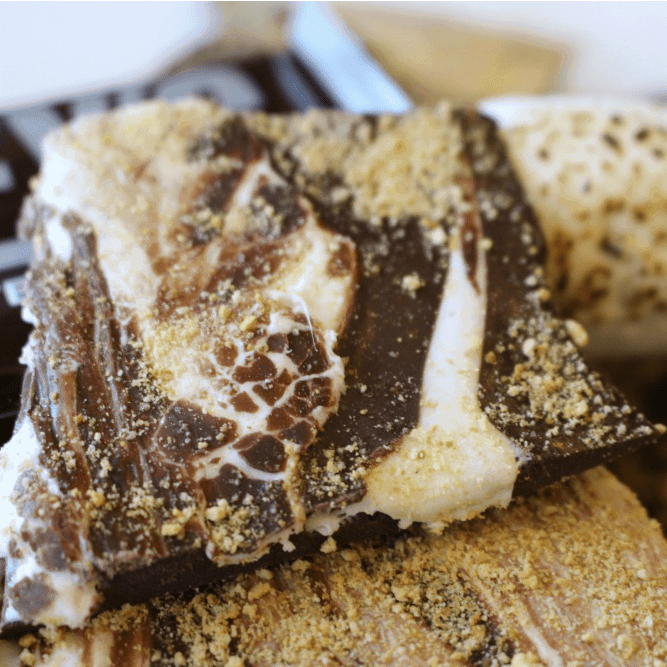 Chocolate bark swirled with ooey and gooey marshmallow fluff and sprinkled with graham cracker crumbs makes this s'mores snack easy to enjoy any time of the year! 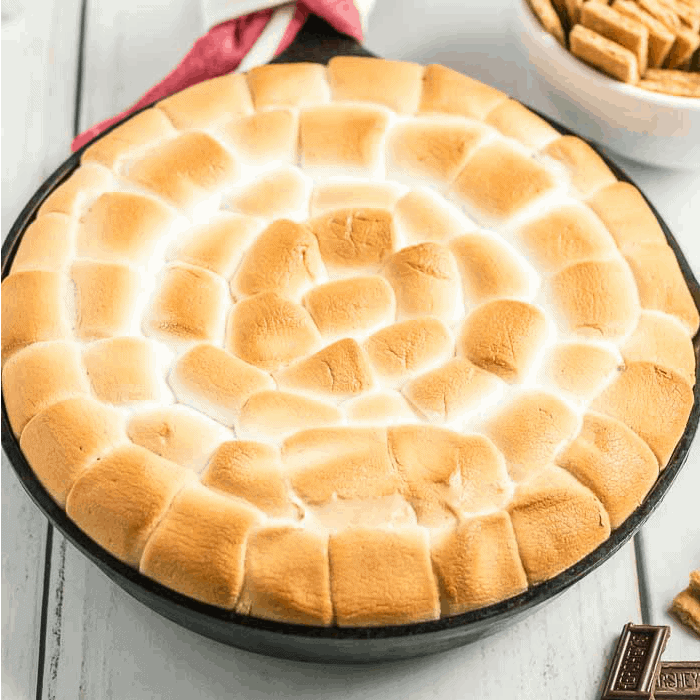 Our delicious s'mores dip will be your new go-to dessert recipe to bring to parties. You can have it all ready to go and all you have to do is pop it in the oven for 10-15 minutes and you are ready to dip! Grab your favorite dipping food like graham crackers, fruit, crackers or cookies and you are good to go! Indoor S'Mores - No heat needed! Did you know you can make s'mores without fire, without an oven, and without heat? These are great if you just need a quick s'mores fix! What's better than a traditional s'more? 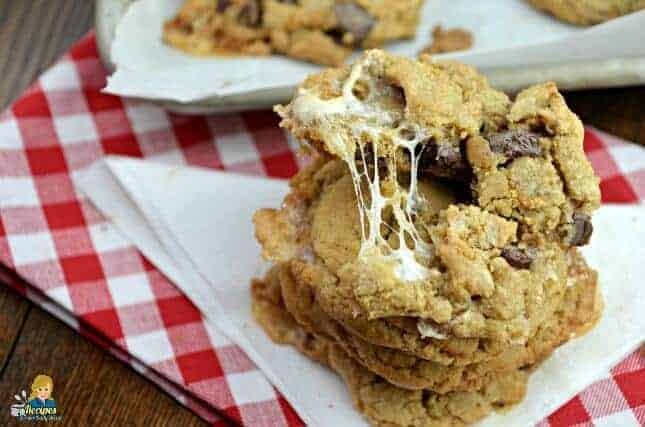 How about a s'more smooshed between two homemade chocolate chip cookies? 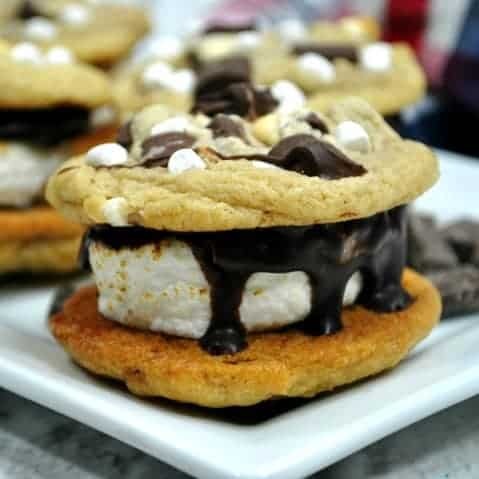 You love cookies and you love s'mores... now how about combining the two together to make one delicious dessert - S'more Cookies! 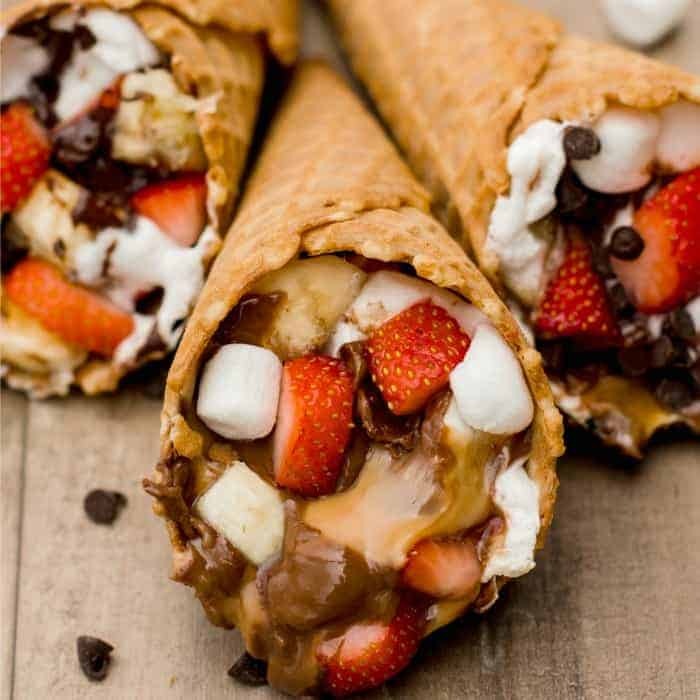 Waffle cones stuffed with your favorite s'more ingredients and more!! Your kids and guests will go crazy on this new twist to the classic s'more! Campfire Cones are the new bonfire craze!